The Seneca Avenue cafe will serve up Nepali cuisine with a few new twists. If you're thinking that Nepali food is underrepresented in this neighborhood, you're definitely right. I'll be honest and say I couldn't have told you what Nepali food looked or tasted like. 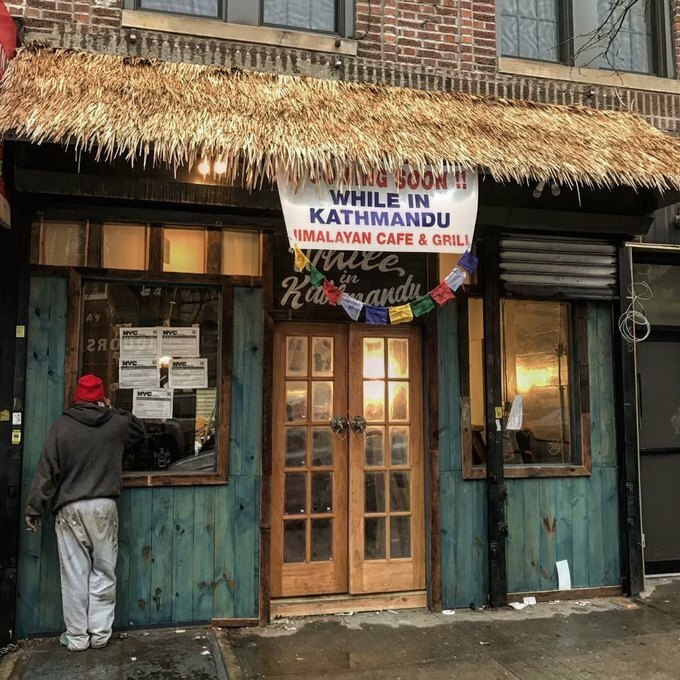 And before I met Bikash Kharel, owner of Ridgewood's soon-to-open Nepali cafe, While in Kathmandu I couldn't think of one Nepali restaurant in the entire city. While in Kathmandu is here to fill the void, and while the cafe is offering authentic Nepali dishes, the cafe's unique space is marvelously untraditional. 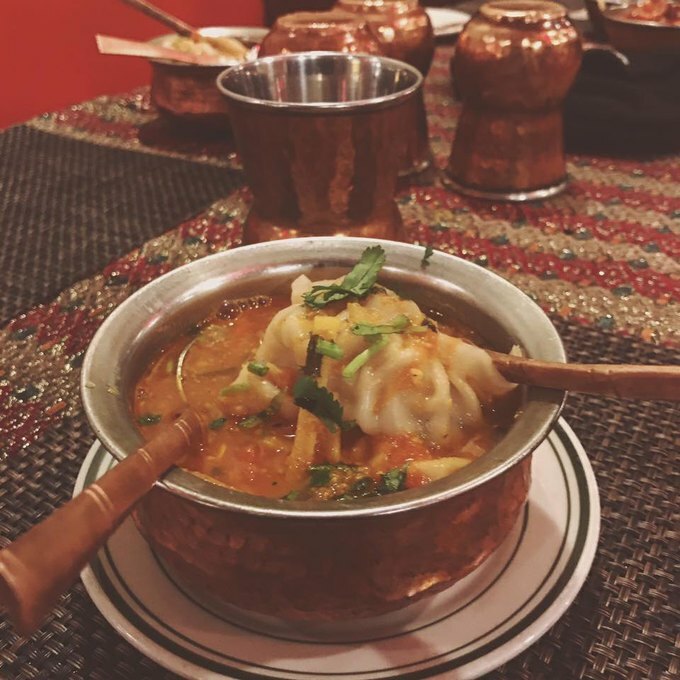 Kharel was inspired to open up his own restaurant after working at Ridgewood's Nepali Indian Restaurant, also on Seneca Avenue. He, too, noticed the lack of traditional Nepali food in the neighborhood and wanted to open a cafe that was true to his Himalayan roots but with a modern twist. While in Kathmandu will feature a breakfast, lunch and dinner menu, as well as smaller plates. "Our breakfast menu will be short & simple starting with fusions," Kharel tells Bushwick Daily. "We will have a few different sort of wraps & sandwiches using fresh naan bread from our Tandoor. In terms of menu items, we intend to introduce sel roti, a traditional homemade, sweet, ring-shaped rice bread, Bara with Egg, light and spongy black lentil patties with an egg on top & a side of tomato chutney, and Pani Roti, which literally translates to 'water bread.' We'll be using buckwheat & millet, which is really popular to certain parts of Nepal." Image courtesy of While in Kathmandu. Of course, these menu items are just the tip of the delicious iceberg for the new Nepali spot. Perhaps the most intriguing dish Kharel eluded to was the grilled cheese naan-wich, a grilled cheese sandwich made with naan bread. Additionally, Kharel wants to use the cafe as a space for artists and events. "We would like to use While in Kathmandu as an art space, holding various event nights," he says. 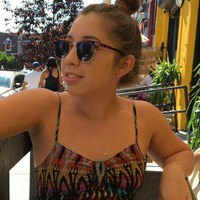 "[We want to] create an inviting space where local and upcoming artists can feel comfortable to come and perform. We already did host a pre-opening gathering with a few artists, and we're looking to host another one before we open up." The spot's renovations are in the works for now, but Kharel has commissioned brilliant local artists to create original decor for the cafe. While in Kathmandu is set to open at the end of this month or early April. 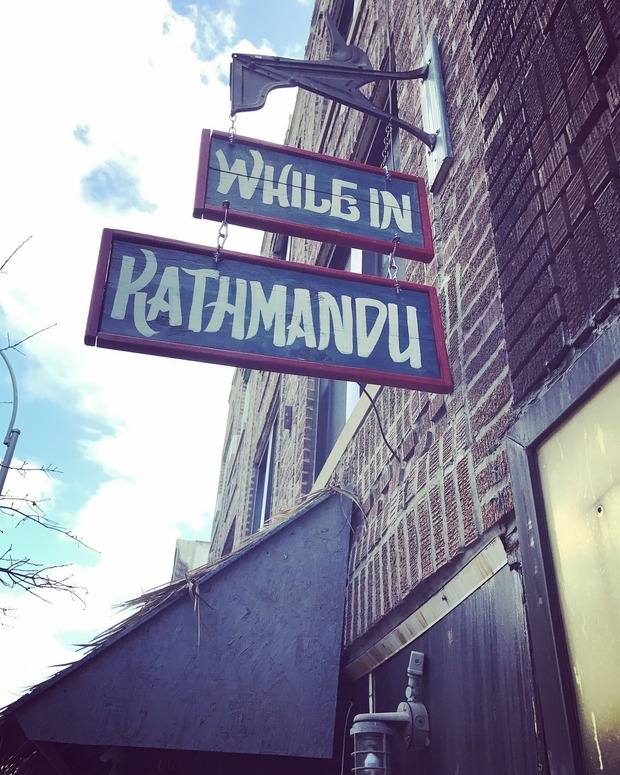 Be sure to check out While in Kathmandu's Facebook page for opening updates and stop by at 758 Seneca Ave. Featured image by Jacque Medina for Bushwick Daily.